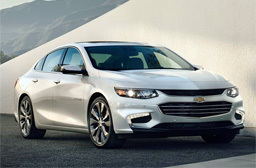 TASHKENT (GM press service) — GM Uzbekistan has announced the withdrawal of the current generation of Chevrolet Malibu in connection with the strategy to update the model range. Acceptance of orders will end on December 31, 2018. The manufacturer reassures its customers by promising to fulfil its obligations and deliver Chevrolet Malibu vehicles to end customers who have already placed their orders. In April 2017, GM Uzbekistan announced the launch of the new generation Chevrolet Malibu.